In recent years, colleges and universities have experienced rapid growth in key areas that support their missions and students. 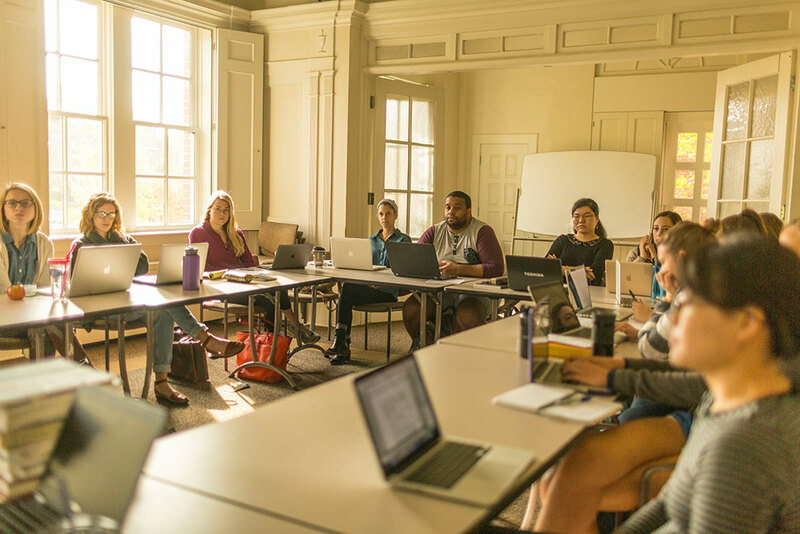 Since 1972, the Higher Education Administration master's degree program at Vanderbilt University has been preparing professionals for rewarding careers in the higher education sector. The Higher Education Administration degree will prepare you for professional roles in academe, state education agencies, or related nonprofits. Through coursework and real-world experience, you will learn about the contemporary higher education system and how to lead from within it. With training available in three areas – student affairs, enrollment management, and general administration and policy – the Higher Education Administration program is for aspiring professionals in search of education careers that matter. Enrollment Management—prepares you for a career in admissions, development, and student or institutional research, among other options. Student Affairs—prepares you for a career in areas such as housing, student activities, Greek life, multicultural affairs, or international student services. General Administration and Policy—prepares you for an individualized program of study. You will work with your academic advisor to build a curriculum that focuses on your own area of interest in higher education. Program Director: Brenda McKenzie, Ph.D.
Higher Education Administration graduates hold positions at colleges and universities, in state education agencies, and at related non-profits throughout the United States and around the world. They find jobs in public and private universities and community colleges — typically the positions they want, in the places they prefer. 96% of Higher Education Administration graduates were employed or attending graduate school within four months of graduation. Senior Associate, Education Advisory Board, Washington, D.C. The Higher Education Administration program places a strong emphasis on learning by doing. The program offers you several opportunities to put theory and research into practice. Graduate assistantship opportunities are available to you. These positions typically last for two years, require an average of 20 hours per week, and are available throughout Vanderbilt, at nearby higher education institutions, and state and local government agencies and organizations. In recent years, students like you have been graduate assistants for the Dean of Students, the Provost's Office, and the Tennessee Higher Education Commission, to name just a few potential assistantship sites. You are required to complete one 3-credit practicum to gain additional professional experience. The practicum coordinator assists you to find the best practicum to meet your individual aspirations and interests. You will also take a monthly class designed to aid with processing your experiences. You may also complete internships in the summer between year one and two of the program. Internships are a great way for you to gain additional work experience and to develop new professional knowledge, skills, and abilities. The M.Ed. in Higher Education Administration is a 2-year, full-time program that requires you to complete a minimum of 36 credit hours of coursework. The courses are firmly grounded in the bodies of theory, research, and conceptual understandings that scholars of higher education and other academic disciplines have produced. These courses also stress the application of theory, conceptual understandings, and research to issues of policy and practice embedded in both the external and internal environments of higher education. You will be required to complete nine hours of elective courses. These courses may be taken across Peabody College, as well as in other disciplines offered across Vanderbilt University upon consultation with your faculty advisor. Our renowned faculty conduct research in higher education history, governance, finance, economics, policy and politics, race and ethnic relations, fundraising, college student departure, college student success, student affairs, the academic profession, service learning, and international comparisons.